St. Kui Xin, baptized John, was born in Hebei…… the boxers, about 10 miles away from the inn, captured St. Kui Xin and sent him to the county magistrate. …..St. Kui Xin refused by saying, “I am a true Catholic. If you are going to kill all the Catholics, please kill me also, I would rather die.” ….St. 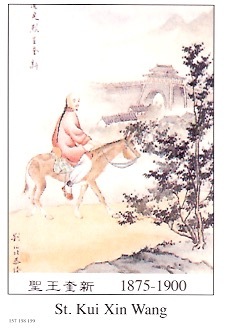 Kui Xin died at the age of twenty-five.